A YouTube video of a TV interview of Jordan Peterson by British Journalist Cathy Newman, who works for Channel 4 News, “a publicly-owned and commercially-funded UK public service broadcaster,” has created quite a stir on the Internet. It garnered 2,974,440 views on YouTube in only 6 days time! In addition, in that same 6 days there have been close to a million views of other videos that have recorded and re-broadcast parts of the original Channel 4 video of Newman and Peterson. In a run through of the companion videos commenting on the debate between the two, it seems the consensus is Peterson clearly was the winner, both in content of his arguments and in his demeanor. But I don’t want to review winners and losers in this debate, nor delve in any depth into the issues on which the two differed. Rather I want to use Journalist Newman and her conduct in this debate as an archetype for ESTJ personality type and a discussion of the Feeling mental process. 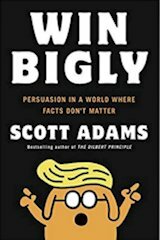 It was a related video by Scott Adams, Creator of Dilbert, on the subject of Cognitive Dissonance that got me thinking about this subject (there’s a link to the Adams video at the end of this article). Adams isn’t a psychologist like Jordan Peterson, but he is a life long observer of the human condition and the interplay between people, which is one reason why his Dilbert cartoons have been so successful. And Adams has taken the trouble to learn a bit on the “why” people act as they do. Unlike many detractors of Newman’s performance in this interview (or debate) with Peterson, who question her intelligence or ideology or have other negative impression (i.e. the vision of a Harpy descending upon Peterson to rip him to shreds), Scott Adams attributes her conduct to a very human condition he identifies as Cognitive Dissonance. Journalist Newman entered the Interview with Peterson with a set of strongly held beliefs about various general social inequities and some specific beliefs about Peterson’s character and motivations. Throughout the interview these beliefs were challenged due to how Peterson handled the various charges and inferences she was making. He was calm, rationale and informative as well as intellectually informed. Newman prior to interview and during the interview found herself seriously twisting and distorting what Peterson had said or done in the past and what he was saying to her in the moment of the interview. As Scott Adams points out in his Perisocpe. TV podcast discussion of the debate between them, in terms of her interchange with Dr. Peterson, Newman became a victim of Cognitive Dissonance – the stress of this disharmony caused her to reframe what she was hearing from Peterson into something more consistent with her attitudes and beliefs. For ESTJ types Feeling is the most unconscious of the 4 basic mental functions or processes. So in Adams view, and that is my view as well, this explains her behavior without casting aspersions on her intelligence or the worthiness of her belief structure and ideology. 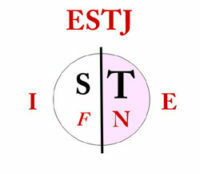 I’ll go one step further and suggest Cognitive Dissonance is related to the Jungian mental process of Feeling and in the case of Cathy Newman, whom I think well represents an ESTJ personality type archetype, her Feeling judgment is largely an unconscious process and operates in her Introverted energy sphere along with her introverted Sensing. There they sit together. Sensing the storehouse of her memories, impressions, and facts that are given meaning and interpretation by her Feeling conclusions. These two processes are married together and while Cathy is aware of the products of this marriage, being able to dissect them and take them apart for analysis is outside of her control. They are just there as truths. As an ESTJ she extraverts her Thinking and Intuition; this is her natural language. These two qualities (command of logic – from Thinking and ability to form generalizations – from Intuition) make her an effective debate warrior for her causes. Yet we saw logical discourse with Peterson repeatedly created dissonance with her beliefs requiring her to regularly re-program what she heard from Peterson, i.e. “So you are [really] saying . . . .” to make his statements more consistent with her belief structure. One of the interesting things about the Feeling mental process is when Feeling is involved in cementing conclusions about things and people, Logic doesn’t have much of a chance of changing the conclusion. And for a dominant Thinking person like Cathy Newman, what contrary logic does to conclusions cemented by Feeling is create Cognitive Dissonance. But I believe Feeling based conclusions only change over time, with experience or new experience. So Cathy Newman in the eyes of most people decisively lost the battle with Jordan Peterson. But it is unlikely that one battle will cost the War. I doubt that Ms. Newman has altered her belief structure. If she got to know and converse with people like Jordan Peterson on a more regular basis, her Feeling conclusions may re-shape. But if she surrounds herself with true-believers whose foundations support her own, change is unlikely. Her logical nature will be used to reverse engineer the facts to support her public conclusions. Attempting to accurately type the personality of public figure based upon media information is ripe for mistakes. This article and others I’ve written use public figures as a icon for a particular personality type as an educational exercise in understanding different aspects of personality type theory. 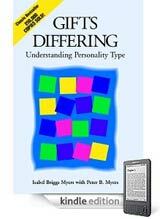 What is the individual’s “real” personality type is a conclusion left to the individual, often with the aid of a credentialed counselor or by extended education on the nature of personality types. December 20, 2016 Ross Reinhold Personality Type Journal Comments Off on Bernie Sanders INFJ Personality?